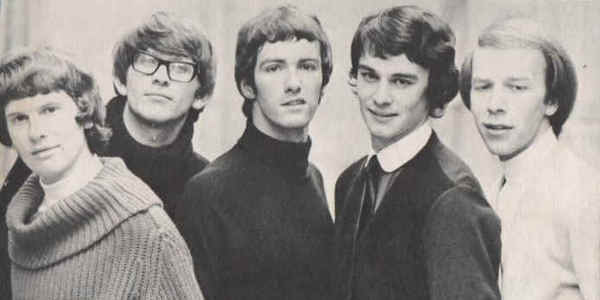 When keyboardist and songwriter Rod Argent was in his 19th year of life (1964), his band The Zombies charted two top 10 singles: “She’s Not There” (#2) and “Tell Her No” (#6). When he was 23, The Zombies hit #3 with “Time of the Season” despite having split a year-and-a-half earlier. Although the band was dead, its popularity was still very much alive. If you haven’t heard any of the aforementioned Zombies songs, which is impossible, then maybe you remember “The Way I Feel Inside” from the movie The Life Aquatic With Steve Zissou. No? Well then you’ve heard Rod Argent playing piano on the theme to CSI: Crime Scene Investigation. 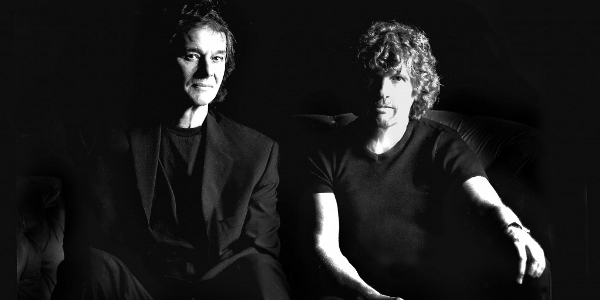 Rod Argent and his longtime bandmate Colin Blunstone will be undead only in the sense of being very much alive when the current incarnation of The Zombies creeps into the Regent Theatre in Arlington on Sunday. Argent spoke with me about his life and career, past and present. When did you and Colin Blunstone decide to start working together again? So we put a fabulous band together, and it was so nice that, completely unplanned, that has turned into 13 years of touring around the world. No planning at all. It just grew to that, which is extraordinary. Was the audience expecting it? What was the reaction? Oh, they loved it, they really did. And it was a spur-of-the-moment thing, and they absolutely loved it. It’s got to the stage now where it’s very important to us to actually get excited about new material. For the last album [2011’s Breathe Out, Breathe In] to get really great reviews both in the US – people like Huffington Post – and in the UK was very gratifying, actually. Have there been any covers of your songs that have particularly impressed you? I think the obvious one is the Santana version of “She’s Not There,” which I thought was absolutely great. And that completely knocked me out because I’ve always loved Santana, and the fact that that song brought them back to Hit Parade status, chart status, again after quite a few years without a hit gave me a kick. Dusty Springfield did a version of one of my songs called “If It Don’t Work Out,” which I thought was terrific as well, on the Everything’s Coming Up Dusty album. I wrote it for her. We were on tour with her in the UK. At the end of one week she said to me, “Would you write me a song?” And I wrote it that weekend and played it to her. She loved it. It turned out to be the first track on the album but it was never a single. Is it true that you had difficulty entering the United States back in the early days of The Zombies? Oh yeah. The unionization of the music business in the States was enormous at the time. It was extremely difficult to come over, and it had to be in exchange for other musicians. I know one point we came in exchange for Duke Ellington who was really – is still – one of my heroes, actually. I thought that was amazing. When did it sink in that Odessey and Oracle (1968) was considered to be a classic in some circles? It started about 12, 13 or 14 years after it came out. People started to talk about it, and it gathered momentum. 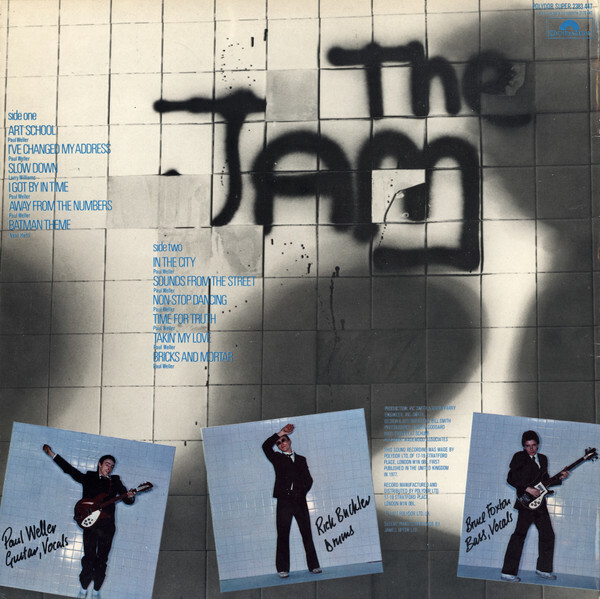 Paul Weller, when he was #1 with The Jam and the punk explosion, completely floored us by saying that it was his favorite album of all time. About a week ago he was on Radio 4, which is a pretty up-market radio station in the UK. He was talking about Odessey and Oracle and he said the same thing again, and he played “Beechwood Park” from it. That was really nice. And many people started saying similar things about it – emerging artists and well-known artists. Tom Petty wrote in the Zombies box set (Zombie Heaven) that if The Zombies were around today, they’d rule the world, or something really, really nice. Dave Grohl, from the Foo Fighters, last year on a Scandinavian television show was asked, “What is the track that changed your life?” And he thought about it and he chose “Care of Cell 44” from Odessey and Oracle. It goes on and on. The Vaccines, who are a very hot teenage indie band in the UK, last year made a 45-second video on the Net saying that it was their favorite album. How large does the legacy of your post-Zombies band Argent loom? Al Kooper, who was a vocal champion Odessey and Oracle when CBS Records wanted to pass on it, lives in Somerville, a town next to Arlington. Will you be seeing him while you are in town? Very possibly. He supported us about a week ago in Philadelphia. It was the first time that we ever played together. It was lovely seeing him, and he said that might well be coming up to the Arlington show. So he had everything to do with that album coming out. My six-year-old review of Sound Affects by The Jam (originally posted on Amazon on November 30, 2006). Damn what an awesome band. These are the words of Jam leader Paul Weller. While Sound Affects is not my personal favorite, he clearly has good taste in his own music. 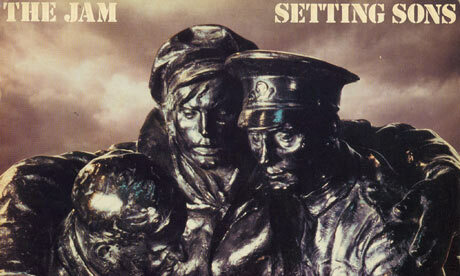 Sound Affects was the third in a trio of brilliant, pun-titled records by The Jam. It was also their first collection of all original material. The #1 double A-side “Going Undergroud/The Dreams of Children” preceded the record’s release, and served as a perfect appetizer for the forthcoming LP. Their fifth record was their most pop-oriented album, including not only 2 hit singles, but a handful of other pop numbers as well. Of course, Weller was not about to leave his more constructively cynical side behind, so there are also several less sunny tracks. But all of the songs are strong and catchy, powered by sharp experimental production and deliberately more poetic lyrics. Sound Affects opens with the buoyant “Pretty Green,” which features Bruce Foxton’s always superb thumping bass lines, and “Monday,” which offers the album’s first taste of pleasantly faint psychedelia. The punky pop ditty “But I’m Different Now” picks up the pace, breezing by in less than 2 minutes. Horns adorn “Boy About Town,” another snappy 2-minute number, but the most impressive of these non-single pop songs is “Man in the Corner Shop.” This track shows that Weller was still in Ray Davies-mode, depicting how 3 classes of people interact with each other on a daily basis, with the factory worker envying the shopkeeper, who in turns envies the factory owner. They come together only on Sundays, when all of them kneel before God as – of course – equals (right?). The songs that form the core of the record are “Start!” and “That’s Entertainment.” The former, which was their second #1 single in a row, should sound familiar even to those who have never heard it (Weller once claimed, perhaps a bit disingenuously, that he was thinking more of James Brown than the obvious source). “That’s Entertainment” reached only #21 in the UK, but this was as an import: it wasn’t even released in Britain as a single. This was a testament to the band’s enormous popularity at the time, and the song has become perhaps the band’s most timeless cut. The lines in this song are one picture-perfect image after another, depicted vividly by Weller’s impeccable British English. There is also the dark, dissonant “Set the House Ablaze,” with its creepy whistling and main riff that was clearly stolen by Bloc Party for some song that I once heard playing in a record store (I don’t know the title). Finally, the largely instrumental “Music For the Last Couple” and the confrontational closer “Scrape Away” highlight the wonderful interplay among Weller, Foxton, and Buckler. 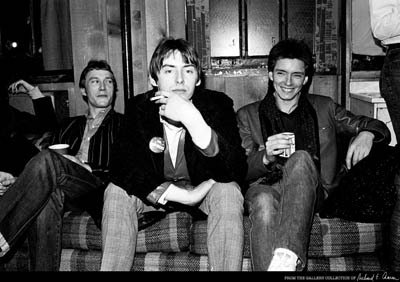 Over the course of their remarkable 5-year recording career, The Jam never stood still or rested on its laurels. Paul Weller was a young man in a hurry, and he took his band through punk, rock, pop, and R&B at a sweeping pace. The Jam never attained the gravitas of contemporaries The Clash, but they were the most popular English band of the punk era. 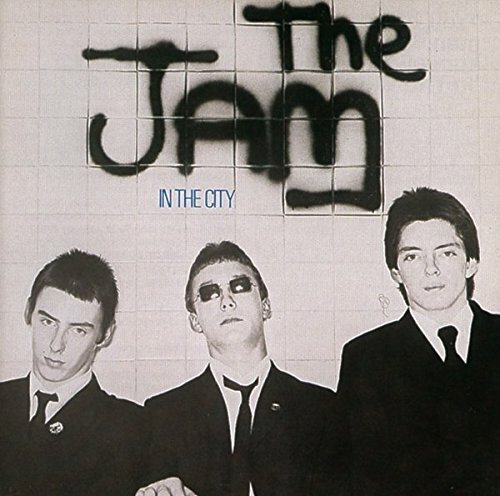 Albums like Sound Affects demonstrated that The Jam had the pop smarts to afford them such commercial success, and enough attitude, intelligence, and talent to make them one of the truly greatest British bands ever. After five years of being a fan, it is still refreshing to reminded of their greatness each time I delve into their records anew. But still, I won’t hold my breath that any of their albums will appear on a Rolling Stone or VH-1 countdown any time soon.